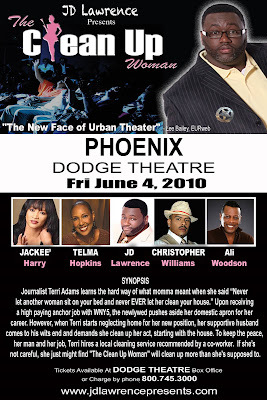 Hoping to give Tyler Perry a run for his money, playwright JD Lawrence is bringing his play "The Clean Up Woman" to Dodge Theatre on June 4th. 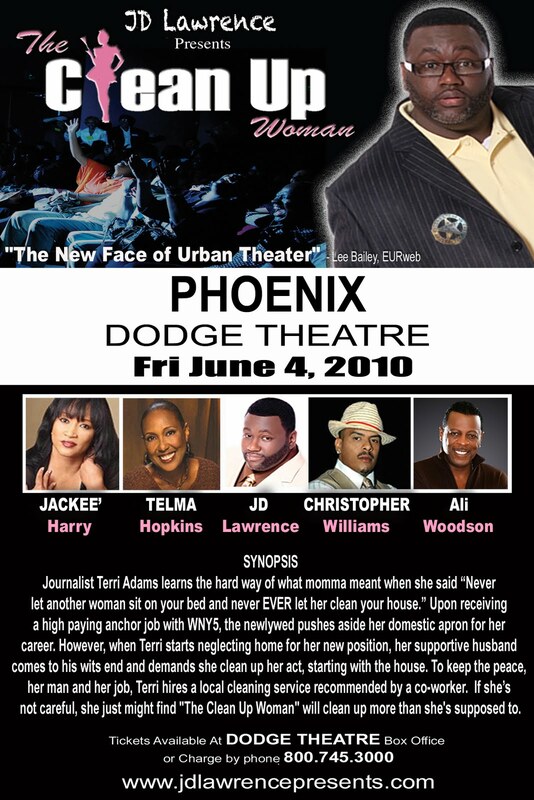 Alongside Lawrence, you will find Thelma Hopkins (Family Matters) and Jackee Harry (Sister Sister, 227) starring in this tale of what happens when career takes over and journalist Terri Adams neglects her home. She quickly learns that the cleaning lady she hired to keep the house clean and her husband at bay may be doing a bit more than she bargained for. I must admit that I've never seen a black stage play, but the reviews for this one aren't too bad. Tickets are available via Live Nation and start at $45.